Samsung has launched the Galaxy J Max smartphone that was the subject of a recent leak few days back by renowned leakstar @evleaks. 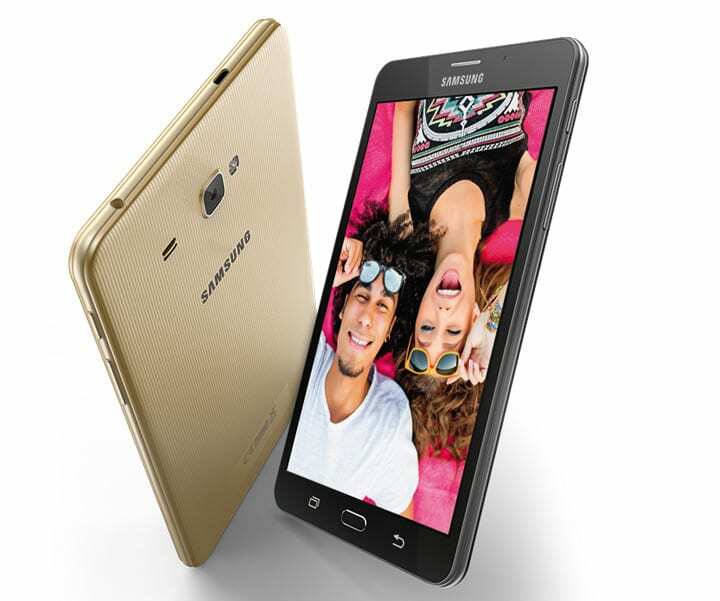 The Samsung Galaxy J Max as the name goes, is a massive one in size from the Korean market leader. The Samsung Galaxy J Max boasts of a huge 7-inch WXGA touchscreen display and you don’t need to be worried that you’re internet data will get consumed by the expansive display, as Samsung has pre-installed an Ultra data saving (UDS) mode powered by Opera Max and S bike on the device. The Galaxy J Max is equipped with a 1.5GHz quad-core processor and boots Android 5.1 Lollipop which we don’t know yet if they plan to upgrade in the near future. On the camera aspect, the Samsung Galaxy J Max packs an 8-megapixel rear camera unit and a microscopic 2-megapixel front-facing camera. That’s a poor set up I’d say. The camera set up is just like those found in Samsung tablets only that this isn’t a tablet. The expansive Samsung Galaxy J Max comes in Black and Gold colours (what’s with Samsung and Gold colour?) and is priced at Rs. 13400 in India (about $200 in the US) and approximately 50,000 Naira in Nigeria. The device will go on sale in India through online and offline channels starting from July-end. In India the device also comes with 6 months double data offer for Airtel prepaid worth up to Rs. 4,500.